2 Bed/2 Bath, 4th floor Oceanfront condo sleeps 6. Oceanfront deck and pool. Lovely murals add a whimsical touch to this two bedroom, two bath Condo. The master bedroom has a queen size bed with adjoining master bathroom that has a walk-in shower and large vanity. The second room has 2 twin beds and lots of dresser space. 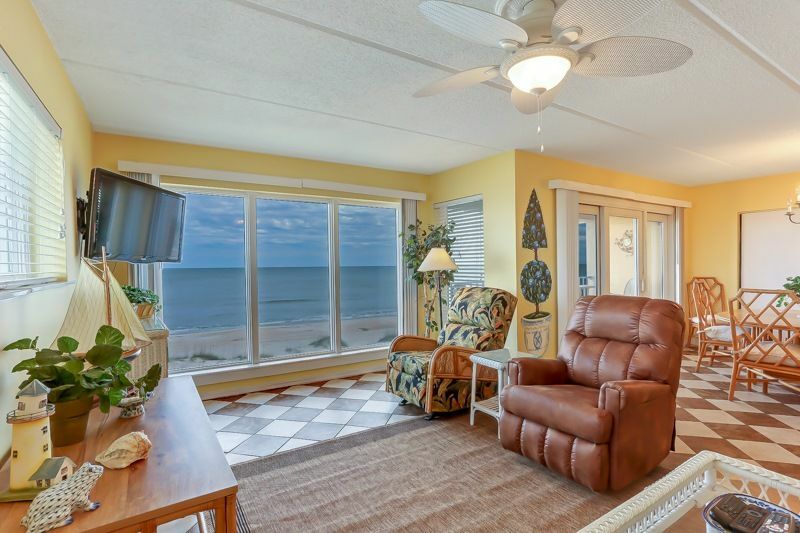 The very spacious living room has an extra window that gives this end unit a panoramic view of the Atlantic. The kitchen is fully equipped and the dining room seats four with an entrance to the balcony.